While the government of Sierra Leone may be planning to scale down its Ebola campaign, as well as looking to declare some of the country’s districts as Ebola free, the number of new cases found along the Freetown-Northern Ebola corridor, remains significantly high. In Freetown, where Ebola treatment centres are hard at work in the far west of the city – Kerry Town, Goderich and Lakka, concerns have been raised about the insufficient capacity in the East of the capital, especially at Kissy, Wellington and Waterloo, where the concentration of new Ebola cases are highest. Although the two treatment centres at Hastings, run respectively by the Chinese and a group of dedicated Sierra Leonean doctors, are handling most of the cases in the East of the capital, lack of capacity remains a huge problem. There is also news of doctors and nurses in treatment centres across Freetown, threatening to go on strike this weekend, as the government once again fails to pay salaries which are believed to be more than six weeks overdue. Speaking to the nation in his New Year’s message, president Koroma strongly condemned officials involve in embezzling funds meant to tackle Ebola as well as pay staff salaries. But he failed to take full responsibility for allowing a corrupt system to operate, without proper management controls in place. Whiles the rate of infection and transmission of the virus may be slowing down in most parts of the country – especially in the southern districts, it is far too premature to claim that the corner has been turned. Hence, health agencies are continuing to scale up their efforts in establishing additional treatment centres in one of Freetown’s most densely populated and deprived communities – Kissy. 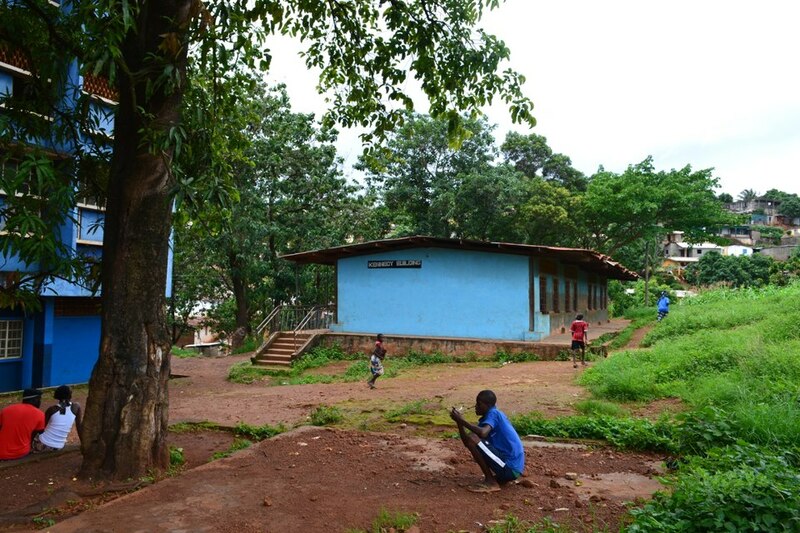 A new Ebola treatment is being established by MSF on the school grounds of Methodist Boys High School. The Kissy Ebola Treatment Centre as it is called, is being established in phases. It will start operating with 20 beds for Ebola patients, followed by an expansion in bed capacity and the opening of a referral centre for Ebola-positive pregnant women by the end of January. The centre will also operate a triage for pregnant women, where Ebola-suspected pregnant women can be evaluated and admitted to the centre. Once fully operational, the centre will have a capacity of 80 beds, adding to the 800 beds that have recently been established across the country by British government funding support and military expertise. MSF says that with the highest Ebola caseload globally, Sierra Leone’s bed capacity for Ebola treatment remains insufficient to meet the needs of patients, specifically in new hotspots. Throughout the past few weeks, Ebola incidence in Kissy has skyrocketed, reaching some of the highest rates in the capital city. Sierra Leone needs at least 3,000 beds to fully cope with the current number and growing population of Ebola positive cases. “Opening the Kissy ETC and maternity ETC will be a game-changer in this heavily-affected community. Now patients will be able to access quality Ebola care in their own neighbourhood.” says Luis Encinas, Field Coordinator for MSF Spain. Médecins Sans Frontières (MSF) has admitted its first patients to the new Ebola Treatment Centre (ETC) in Kissy, an Ebola hotspot on the outskirts of Freetown. 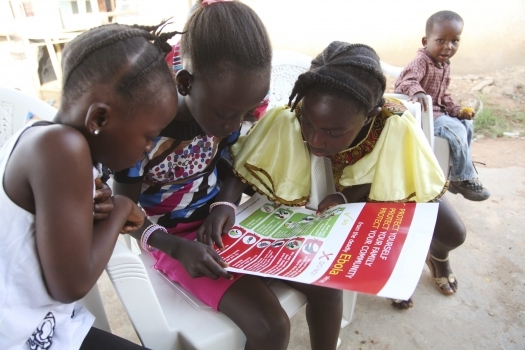 “We wanted to move closer to the community and to the patients to improve access to quality Ebola care. This centre will also focus on maternal cases. Pregnant women with Ebola need special care and there is a clear gap in treatment for them in Freetown. “We want to reach out to Ebola-positive or suspected pregnant women to provide both quality Ebola care and quality obstetric care at the centre,” said Marcus Bachmann, Head of Mission for MSF Spain. What will happen to these schools which have been used as Ebola centres once Ebola has been eradicated? From my understanding, Ebola can survive in the soil for many years. 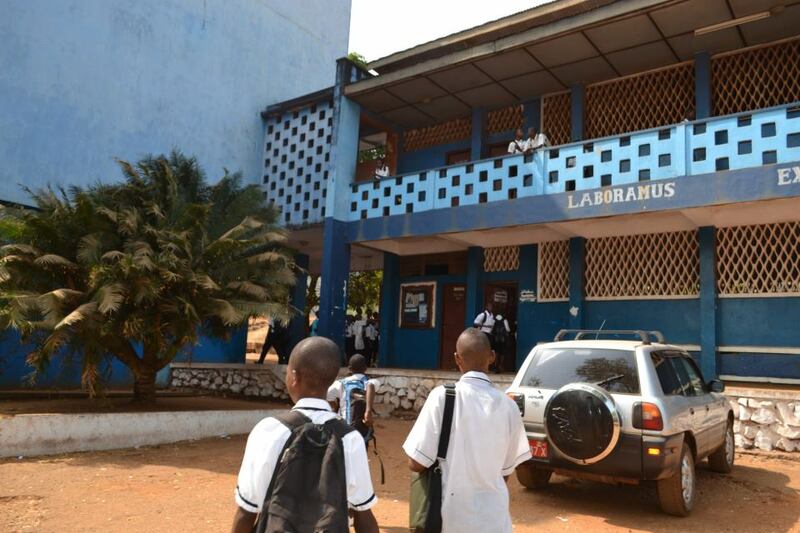 Parents will be frightened to send their children to school, knowing it was once used as an Ebola centre.